In his third outing, RoboCop brings a revolution to Delta-City, but does this new instalment bring the same energy to the franchise? When the OCP Corporation violently removes people from their homes, the public make a stand and a revolution begins. RoboCop must make a choice on whether to follow his morals or follow the law, with grave consequences either way. 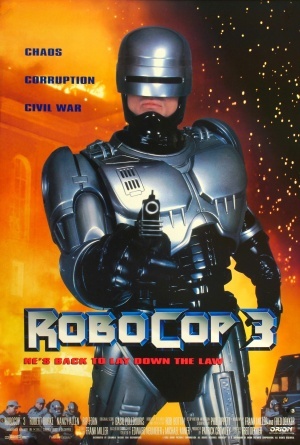 RoboCop has always had an underlying political satire at the core of its stories, but RoboCop 3 pushes this one step further by not only having RoboCop stand-up for justice, but also the common man, and in fact the entire city. This is done remarkably well with the police being threatened with pension plan losses and RoboCop himself being denied any human memory for business gains. What doesn’t work so well are the revolutionaries themselves, who fail to be too convincing when in conversation and also seem to be a mere handful which scales down the film’s epic vision. With these failings, the film never manages to propel it’s subject matter to be noticed as a reflection on society. For a franchise that is well known for it’s action packed scenes, the film also lacks any truly memorable moments. RoboCop does fly with a jet pack but, lasting less than a minute, it’s underplayed and forgettable. His acquiring of a bright pink pimp-mobile for a car chase makes the film seem more light-hearted and less interesting for serious action fans, and although there’s always been tongue in cheek moments in the franchise, events like this appear to be cashing in on a cheap joke. However, what the film does do better is give RoboCop an attitude. Gone is his preachy, robotic speech and in its place are things like, ‘Nice try, freaks,’ while he disobeys direct orders and punches through a police radio while driving. RoboCop has gone renegade, and it’s this quality, and his vendetta mentality, that almost singlehandedly keeps the film interesting. The film also includes much more prominent villains; the first is McDaggett, an oppressive military police leader who has a small trained army behind him. This type of rival hasn’t been seen before in the franchise and adds a larger scope to the film than normal dodgy crooks. The second villain is Otomo, an Asian soldier who is seemingly a match for RoboCop. Otomo’s presence warrants a fight on the scale of RoboCop and Cain’s from the second film, but unfortunately this is never produced so leaves the viewer wanting more. RoboCop 3 delivers an interesting revolution within the city and is loyal to the original two films in tone; however it falls down majorly on character interest and RoboCop’s, now signature, big action packed fights. 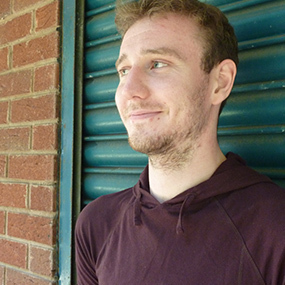 Matt Kidd - Chief Editor/Small Details Aggravator.